Sometimes I think that life is a jigsaw puzzle. For some people, the pieces gets fit together perfectly and for others they get all mixed up. Some problems and situations are common to all and are faced by most of the people but even then many of us find it difficult to sail through and some find out a perfect solution. One has to work very hard with each and every piece of this jigsaw puzzle in order to set it at its rightful place to create a meaningful picture. One such story is that of my aunt, Anita, the youngest of three sisters. She was very attached to her mother who became a widow at a very young age. When she was getting married, she knew that after her marriage, her mother would be alone. Anita was married in a joint family with father in law, mother in law, brother in law, sister in law and their kids. She created a beautiful balance in every relationship and with a lot of wisdom and patience. She completed her studies after her marriage and took up a job of a teacher in a neighborhood school. After a few years, her family decided to renovate their house and add another floor. At that time, her mother in law suggested that she should bring her mother to live with them. She was completely taken in by this suggestion coming from her mother in law. Her husband, Sameer, further supported her and encouraged her to bring her mother in their house. Her in laws and her husband were very broad minded and considered her mother as part of their family. They supported her in every aspect. It was not easy though. To create a balance and form a bridge between one’s parents and in law’s needed a lot of patience, wisdom and maturity. Her mother who was a very independent person herself did not find it appropriate to live in her daughter’s house. Sameer helped Anita in persuading her mother. Sameer always considered her mother as his own. He requested her a lot assuring that he is also like his son and she would feel like home once she comes to their house. Anita on her part treated her mother in law and mother as equal. At times, when the two would be sitting together, she gave more importance to her mother in law, so as not to let her feel insecure. She ensured that she would give equal love and respect to both of them. It resulted in creating a beautiful friendship among all the three elders. They enjoyed each others company and extended help and support whenever anyone needed. Even while the youngsters were busy with their work, the three elderly were happy giving each other company. Anita and Sameer worked together as a team to make sure that both the mothers ( Sameer’s and Anita’s) and his father were looked after well and none of them would feel neglected. There were times, when misunderstanding would crop up, leading to situations when her mother would get upset and wanted to go back but Anita sorted out all the differences by focusing on the point of views and emotions of every family member. She tried to bridge the gaps by communicating the feelings of all the members in a rightful manner. Her wisdom enabled her to establish harmony and create peace in the house. Her children were looked after well by all the elderly in their growing up years. 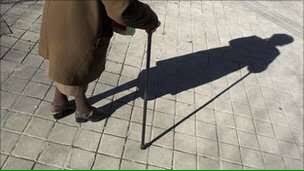 The elderly felt secured and supported her to rise professionally. In today’s scenario, when I see many elderly living alone and nobody to look after them, youngsters increasingly becoming busy with the struggles to make a living, this couple sets an example as to how by focusing on our goals and working together as a team, we can find a solution for every problem. Girls should be wise and consider her husband’s family as her own. Similarly, boys also should give equal love and respect to his wife’s family. Previous postIs Nuclear Family System The Perfect Answer?